Deira Clocktower, originally referred to as the Dubai Clocktower, is one of the oldest landmarks in Dubai. Ziki Homsi, the Architect of the project, has written about the fact that the project came with a lot of challenges in the mid sixties; not the least having very limited resources and available contractors to complete it. In stark contrast with the recent construction going on in Dubai over the last 15 years! 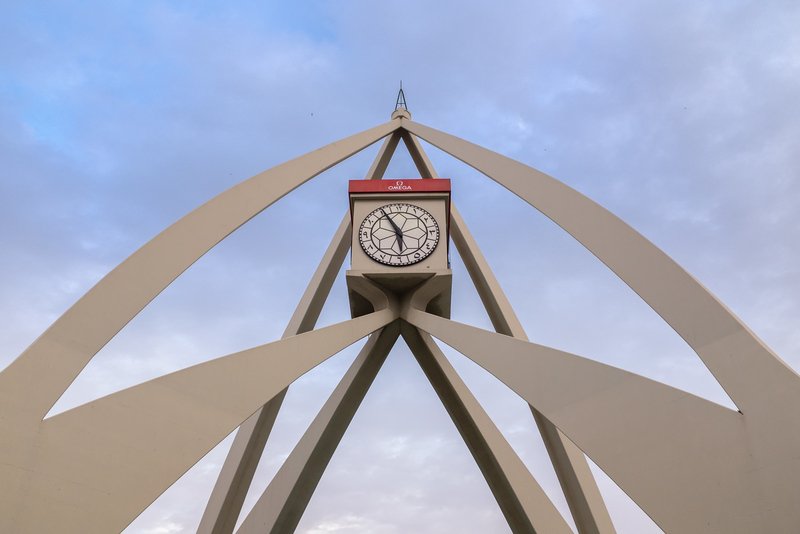 The Clocktower was eventually completed in 1964; just a year after the Maktoum bridge over Dubai Creek was completed. While the location of the tower was very central 50 years ago, it has now become very much the older part of town, which a lot of the people visiting Dubai, don't even get to see. An interesting fact is that its 4 watch faces have apparently only been replaced once in its more than 50 years history; today they carry the Omega watch brand. Those of you interested in more of Dubai's Architecture, old an new, can check out the dedicated gallery here. Sometimes I end up going to a city with low expectations and come home with a good number of keeper images. Such was the case on my last visit to Casa (short for Casablanca) in Morocco. 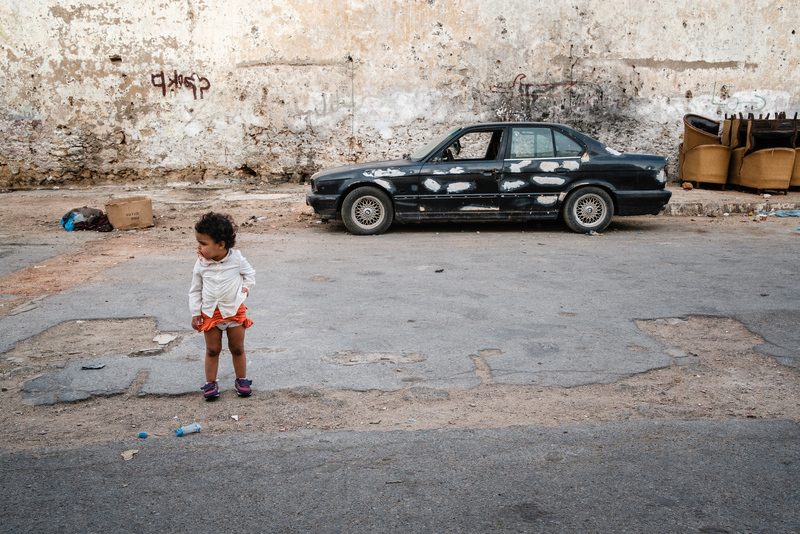 When I first went to Casablanca 15 years ago, I had this pre-conceived idea that I would find a beautiful and exciting North African city; saying I came home a bit disappointed is probably an understatement. Beside the Hassan II Mosque, the worlds second largest mosque, on first sight there is not that much to see in Casablanca. No surprise that most tourists prefer Marrakesh before Moroccos nr.1 Commercial center. After a 5 year absence, I finally went back to Casa last week with the plan of doing some Colour Street Photography. Diving deep into old Medina, I was pleasantly surprised to discover a complete different Casablanca! A vibrant and lively place which kind of felt like an ancient city of few centuries ago. An exciting place! Some neighbouring areas however were clearly much poorer and at times looked more like a warzone with beaten down cars and buildings rather than a residential area. A much rougher feel but therefore not less interesting to document. The series of images shot in Casa last week, can be found here. Lastly, I've been interviewed by US based French Street Photographer Valerie Jardin for here very popular "Hit the Streets" podcast about the past 24 hour project held on April 1st 2017. To check out the 40' podcast together with my partner in crime from Finland Meri Kuakavaara; click here! Sometimes as photographers we go out there with great expectations and then the weather or some other exterior circumstance, turns for the worst. Such was the case last weekend, when I wanted to shoot the Burj al Arab with the mysterious "foundation pillars" on the beach. Well, on my way there it became clear that the visibility was quickly becoming worse and that the shoot would probably be useless. Although I initially hesitated to turn back, I instead decided to just go for a walk on the beach and scout for some possible future photographs. 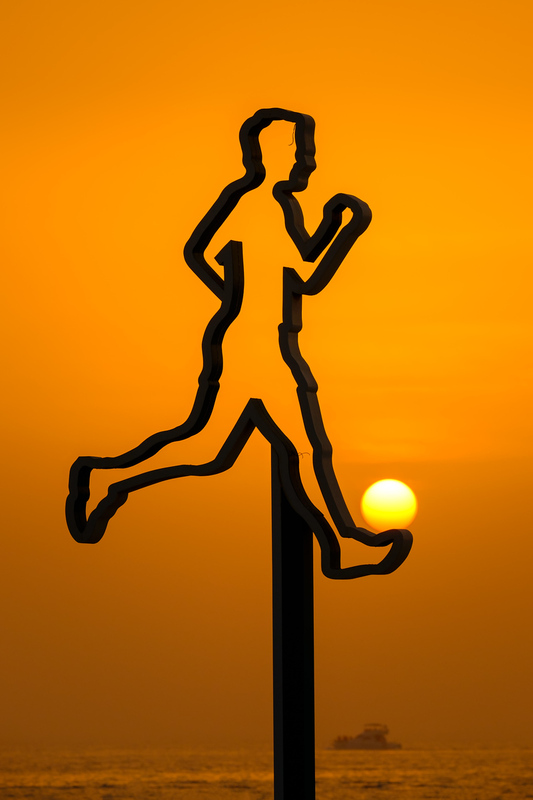 Along the Jumeirah beach front just to the East of the Burj al Arab, I spotted a metal life-size sign of a person running. While the sun was still obscured behind a big blanket of clouds, I could envision the ball of the sun turning the runner into a football player. And yes, about 30 mins later the sun eventually became visible at the Western horizon. Although there is no human element in the image, I still look at this image as a "Street Photograph". More of my best Color Street Photography can be found here. As promised in my Pic(k) of the week 19 blogpost, this is an overview of my visit to the PLANES OF FAME 2017 airshow in Chino, California. It was my first airshow of this years season and one that is very close to my heart! 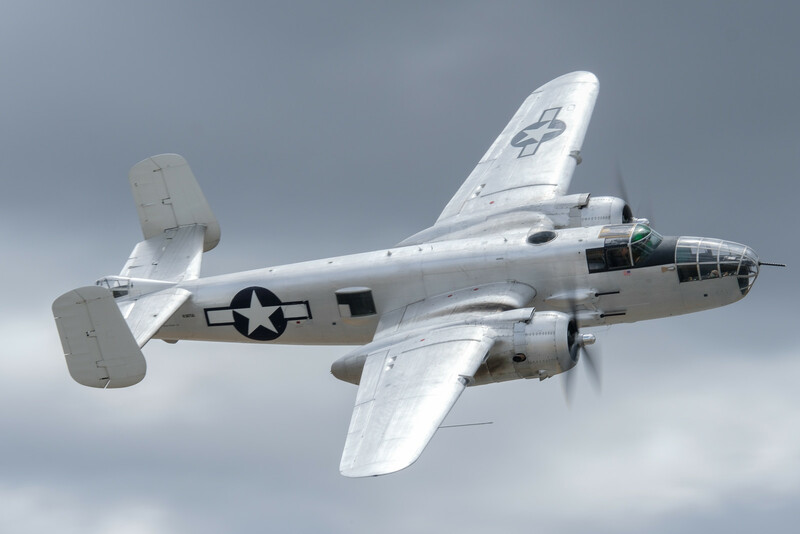 The largest warbird show in the US, almost got cancelled last minuted because of legal action against the show organizers by another Aircraft museum (no, I won't name you and give you credit!) based in Chino. While another court hearing is scheduled for September, I sincerely hope this wasn't the last show at the Chino Municipal airport! For me the show started before sunrise on Sunday May 7 as I had purchased a "sunrise pass", allowing access to the airshow grounds at 05.30am. Unfortunately grey skies with some occasional drizzle dominated the first few hours of the morning making the 90,-USD pass not that valuable this year; but this is obviously nothing the organizers have control over! 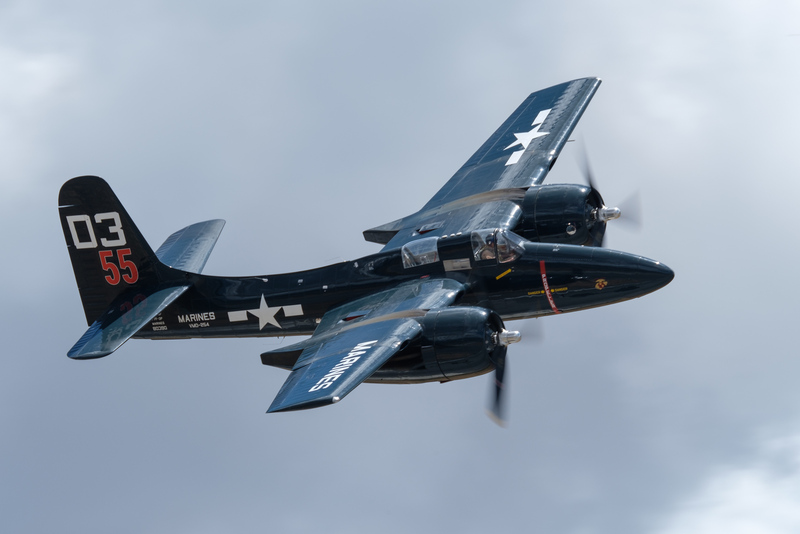 While the Planes of Fame airshow is a "warbird" show it is not your typical airshow with military jet teams and aerobatic acts. 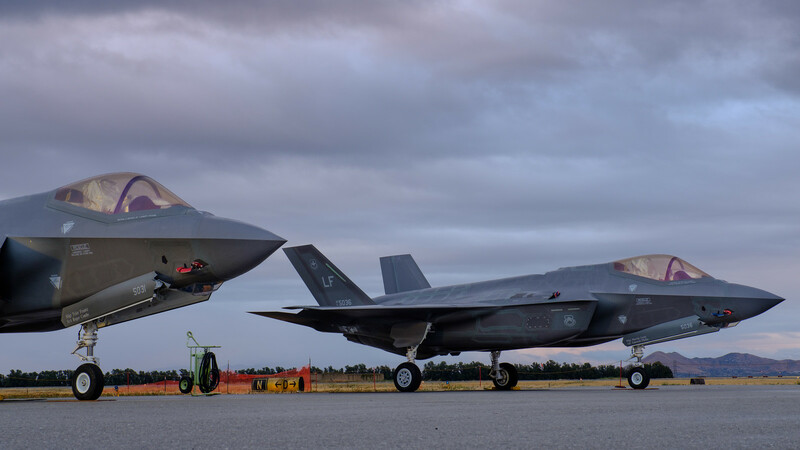 Pretty much the only modern equipment on the site were two brand-new F-35 Lightning II jets from the USAF. 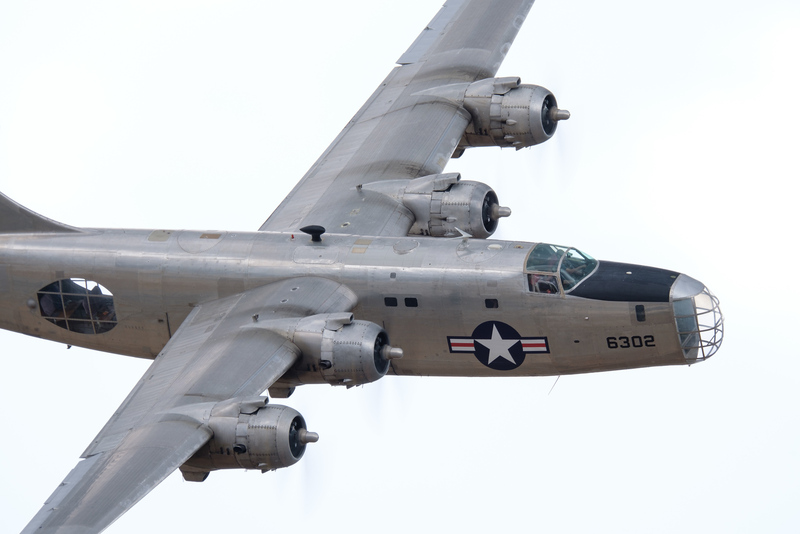 The largest number of warbirds were from the World War II era, but also Korea and Vietnam had a good representation. 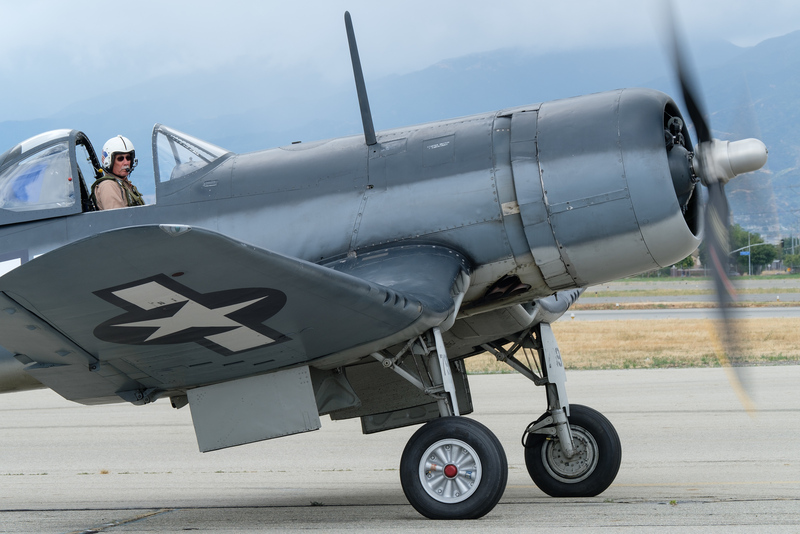 If you are in the LA area and interested in warbirds, make sure to visit the Planes of Fame museum at the Chino airport all year round, as this year is its 60th anniversary. Click here to visit my museum gallery. Unfortunately, this year was the first time its founder Ed Maloney wasn't present at the announcers stand as he passed away just after last years show and was celebrated in a very nice way, during opening of the flying display. Just like other years, there were at least a handful of the "only flying examples of the type in the world", at the event. 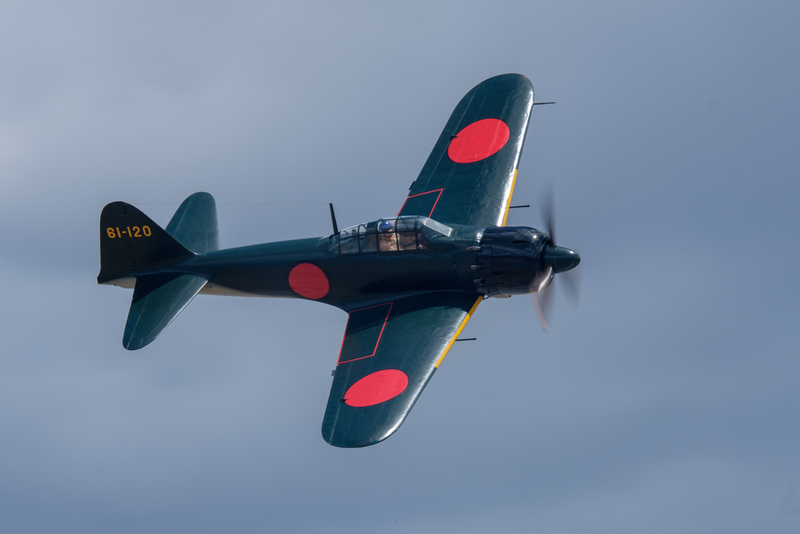 To name just three; above is the only flying Zero A6M with the original Japanese engine; also check out Pic(k) of the week 19: Zero reflection. 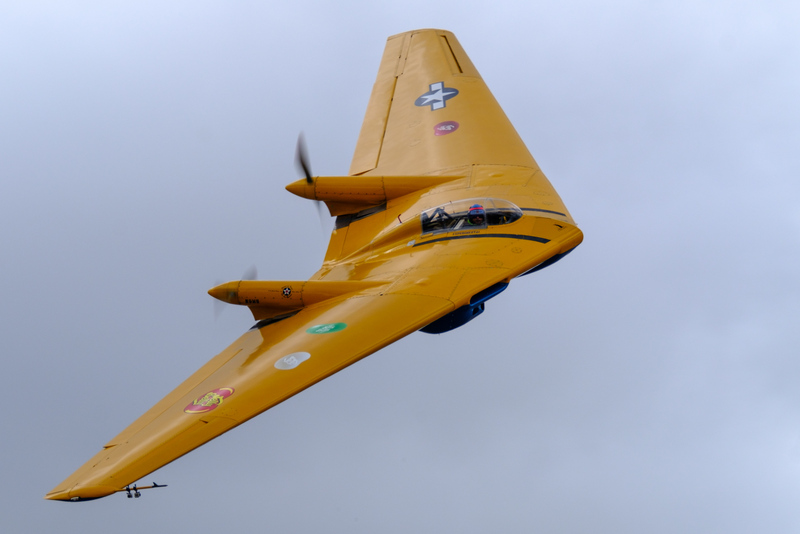 Another one-of-a-kind is the museums Northrop N-9M Flying Wing, which unfortunately now carries some "sponsorship decals"; something that doesn't belong on a warbird if you ask my opinion! 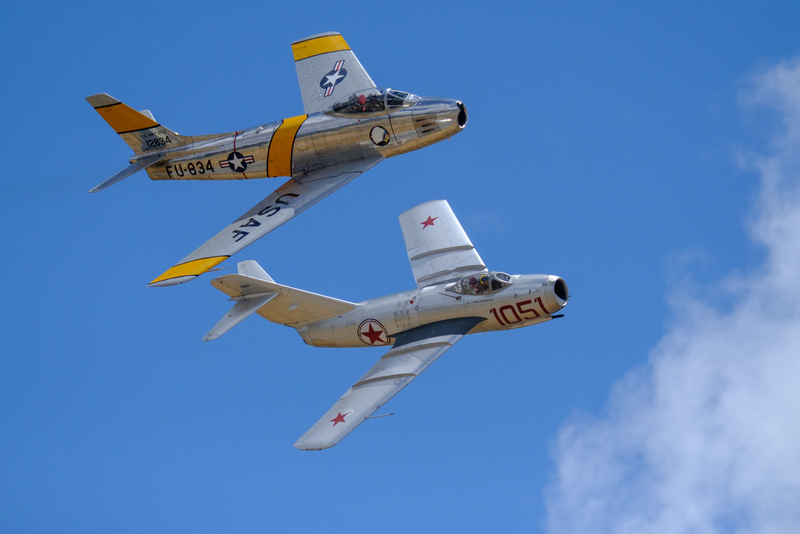 The third one is the Seversky 2PA, also called the AT-12 Guardsman it is the only flying example in the world! Before the flying part of the show started at 10.40am, all visitors were allowed to freely wonder around the static display of the aircraft parked on the ramp. When photographing aircraft like this, it is always a challenge to exclude barriers and other visual pollution. Although I didn't bring a full size tripod, I did use a Platypod for those low angle shots. 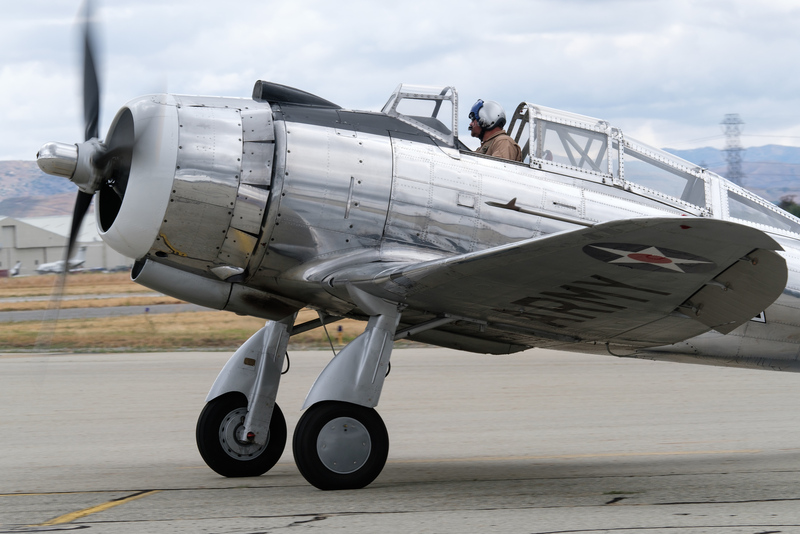 Another one-of-a-kind was this P-26 Peashooter from the early nineteen thirties. 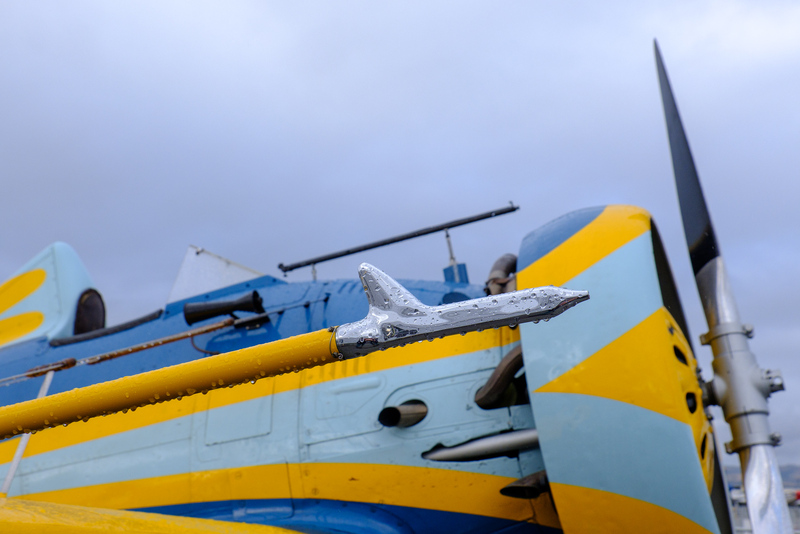 Focussing on details such as the chrome pitot tube here, always makes for more appealing photographs. 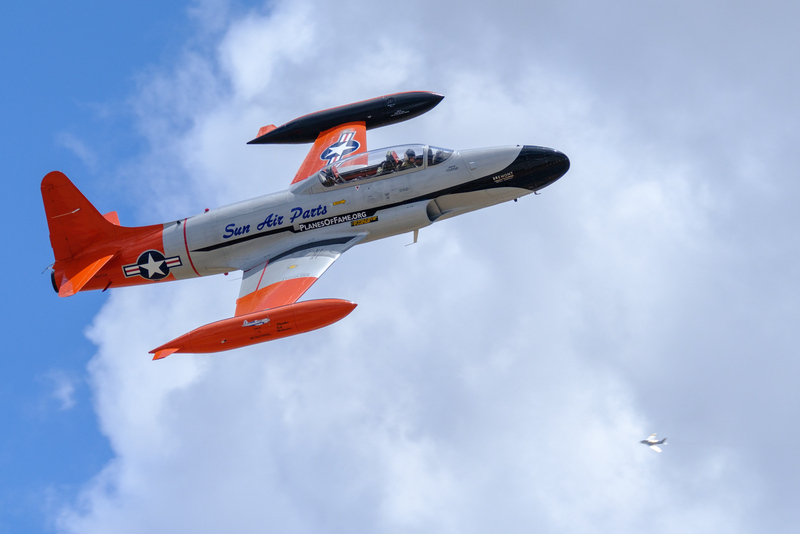 Most flying displays, have multiple aircraft featured; always along a certain theme; Naval Aviation, Vietnam area, etc... At any given time there is always at least one aircraft passing by. The rain that threatened the area most of the day on Sunday, started to eventually come down for the last flight display. 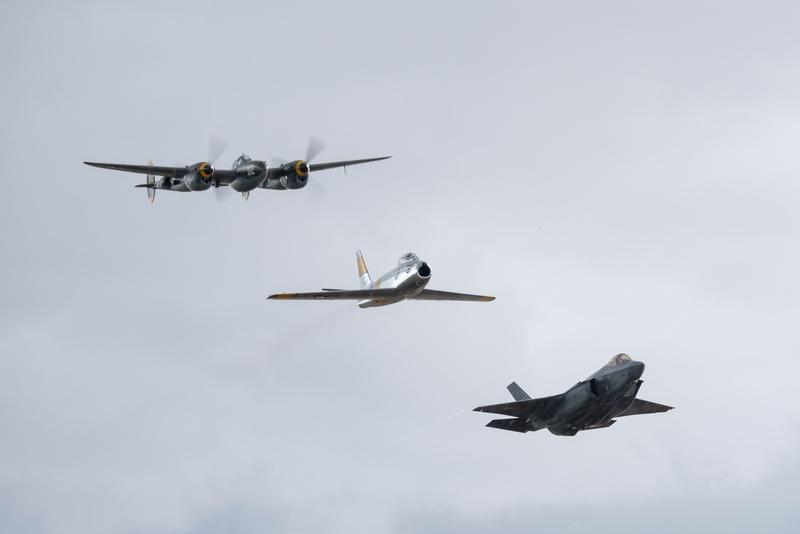 The show ended with a heritage flight; a formation of old and new with this time the brand-new F-35 from the USAF in formation with the P-38 Lightning and F-86 Sabre. What a sight! Just before the show, I had updated my X-T2 to the new 2.0 firmware and was keen to see how it would perform. For my l airborne shots, I had the 1.4X TC on the body with the XF100-400 most of the time. When photographing large formations, the 140mm (100x1.4) focal length might not be wide enough, so make sure to plan ahead of time. Meanwhile I would like to stress that shooting in Manual mode is essential in order to have consistent exposures. Although I'll shoot aperture priority mode for 95% of my "other" photography, this is different! Lastly, something I've written about before, when shooting propellor aircraft, make sure to limit your shutter speed to 1/160s, preferably even 1/125s. This will allow for some prop blur and a realistic image. There is nothing worse than a sharp image of a prop plane with the propellor stopped due to using a too high shutter speed. I know it is hard, but it is the only way. 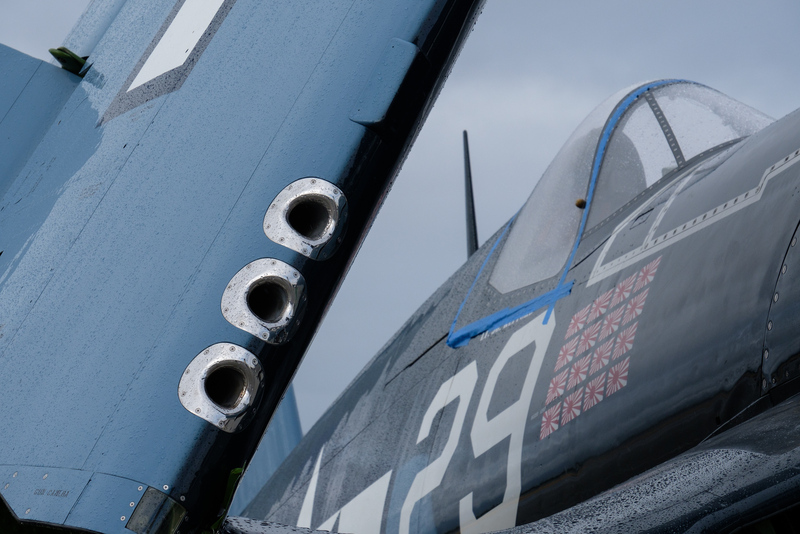 Photographing jets on the other hand is much easier; shoot at minimum 1/1000s or even 1/2000s for sharp images; here there is no danger of freezing a prop in the middle of the action, as it doesn't have one! The weather was not great this year, but it was still a good show, even with a few visiting aircraft not being able to make it to Chino. I'm really hoping that common sense will prevail and that the final court case will be won; we need to see the Planes of Fame airshow to continue for many years to come! 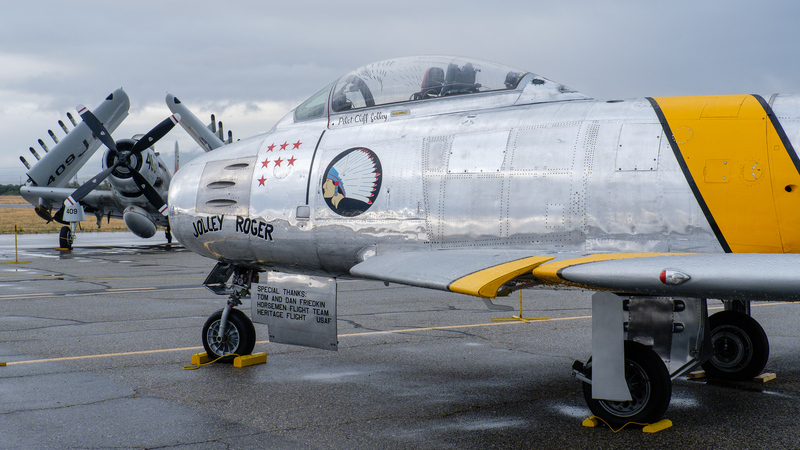 Hope to see you again at next years Planes of Fame airshow! My first airshow of the 2017 season is in the can and it was a pretty special one! 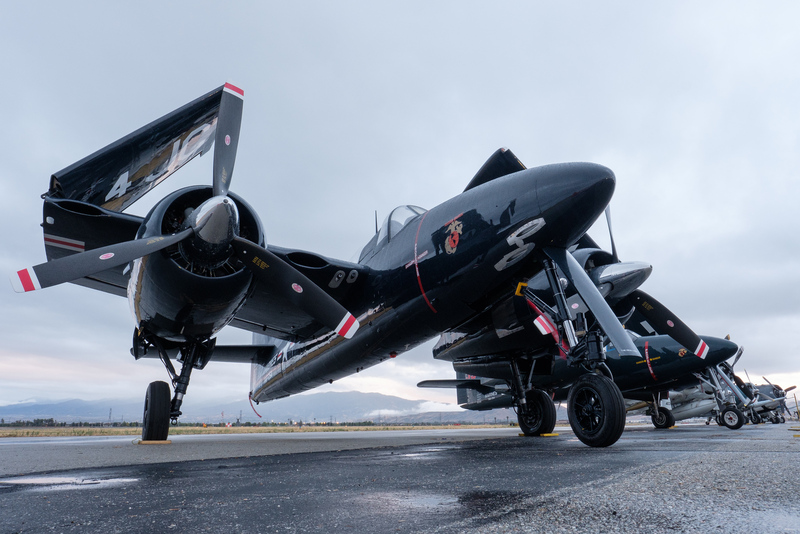 Last weekend was the 25th edition of the Planes of Fame airshow at the Chino airport close to LA, California. The airshow was threatened not to be held this year, because of a courtcase held against the organizers; luckily common sense prevailed and it did take place! I will be dedication an entire blogpost to the show and my Fujifilm Airshow set-up in the near future! 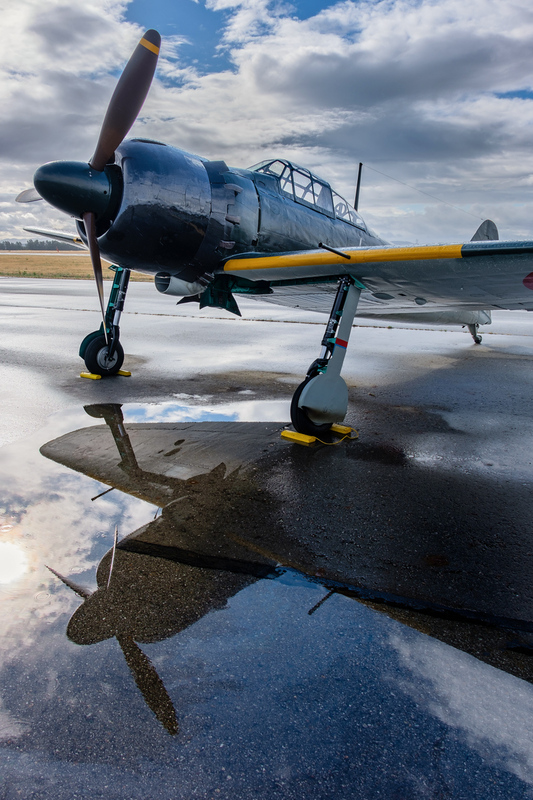 Meanwhile, the image below of the worlds only A6M Zero still flying with the original Japanese engine, was shot early morning using a water puddle reflection. I used a "Platypod" to stabilize the camera close to the ground. While waiting for the dedicated post about the Planes of Fame airshow, some of the images can be found here. Over the years, the Sheik Zayed Grand Mosque in Abu Dhabi, has become "the main" landmark of the nations capital! It was therefore normal that I went there while test shooting the new medium format Fujifilm GFX 50S camera. I've praised how good the Fujifilm GFX 50S is for Architectural photography in previous Pic(k) of the weeks; if you missed it, make sure to check out "Looking up at Business Bay Bridge"and "Roof topping with the GFX 50S". While I've been photographing the Sheik Zayed Grand Mosque on multiple occasions but had never really shot it from a distance. 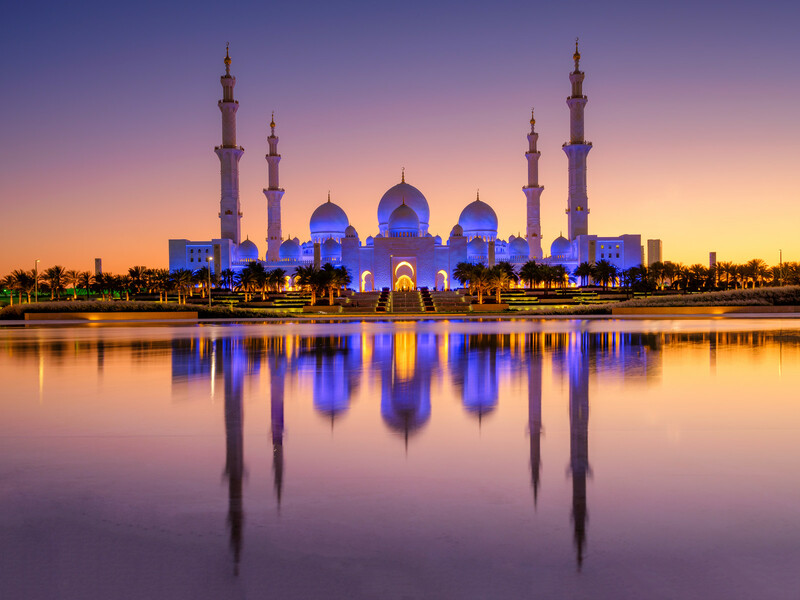 As one of the largest mosques in the world, it is a magnificent piece of architecture which really shines just before sunrise or after sunset; what photographers call "the blue hour". The image below was made from the relatively new Wahat al Karama monument; a tribute to UAE soldiers and other brave nationals that made the ultimate sacrifice while serving their country. While the pool often provides a nice reflection of the Mosque, I wasn't that lucky as there was a very strong wind the evening I was there. A good reason to return and shoot some more images one day! I can't wait to test out the new wide-angle GF 23mm F4 lens, which is supposed to be great for Architectural photography as well. More images of this great piece of architecture can be found here.